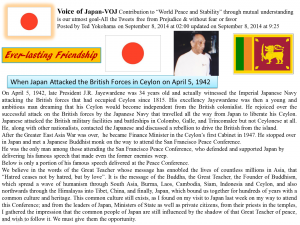 Sri Lanka together with several other Asian countries owe much in winning their freedom, to Japan’s entry to the Second World War and the resulting chain of events that sealed the fate of European colonialism in Asia. Jawaharlal Nehru, the Indian Prime Minister, when asked in the 1930s to name a likely date that India would win independence from Britain, replied by saying it would probably be in the late 1970s i.e. long after their time. 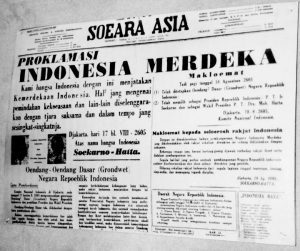 The fact that India gained freedom in 1947 much earlier than the date that Nehru thought was possible, followed by Burma and Ceylon in 1948, was largely due to the interplay of both external and internal factors. 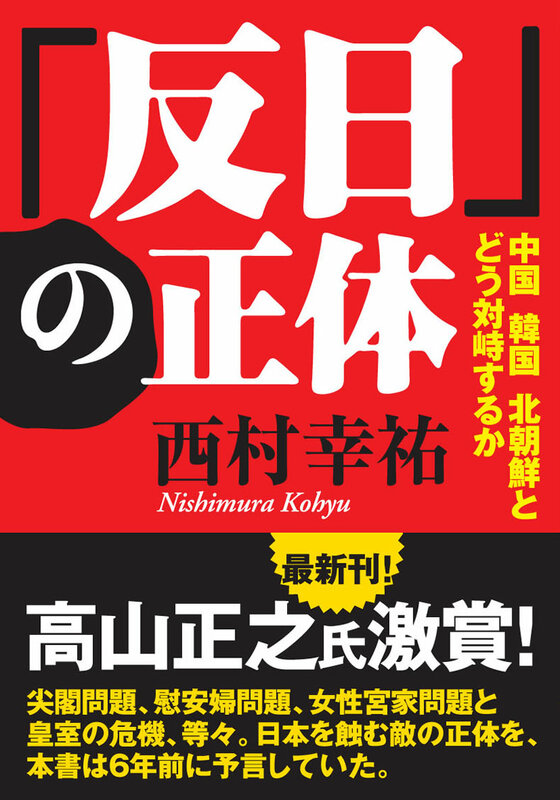 Today, there is a great turn around in Historiography in respect to the role of Japan in the Second World War. 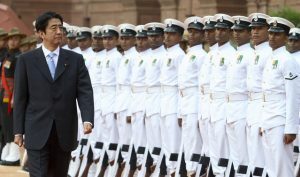 Japan no longer has a pariah status or subject to isolation because of its conduct in the war. 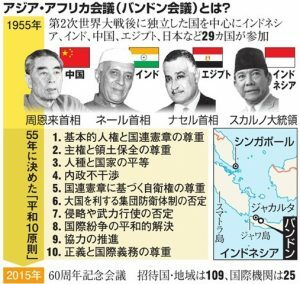 In fact, except in a couple of Far Eastern nations, Japan is increasingly gaining acceptance and recognition in much of Asia for being the catalyst in igniting the relatively dormant Asian Independence movements. 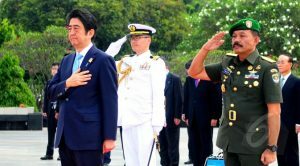 Asia’s leaders and Historians now see a direct and incontrovertible connection between the Japan’s attack on Pearl Harbour and Western Colonial bases in Asia, and the subsequent success of the independence movements which drew inspiration from Japan’s courage to take on the West and liberate Asian colonies. 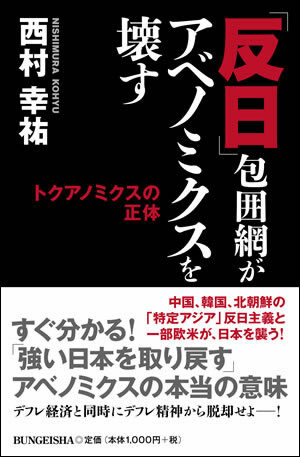 Japan more than any other Asian country was responsible for sealing the fate of European colonialism in the Orient. Historiography and the narrative on who won Independence for India in 1947 is also rapidly changing with an increasing number of writers prepared to give credit to Netaji Subash Chandra Bose, Indian National Army and Japan for the eventual liberation of India, while conceding to Mahatma Gandhi and his followers due respect for their noble and sustained efforts in seeking freedom from British colonial rule. In a new Book ‘ Bose: An Indian Samurai’ by military historian General GD Bakshi, claims that the former British Prime Minister Clement Atlee had said that the role played by Netaji’s Indian National Army was paramount in India being granted Independence, while the non-violent movement led by Gandhi was dismissed as having had minimal effect. In the book, Bakshi cites a conversation between the then British PM Attlee and then Governor of West Bengal Justice PB Chakraborty in 1956 when Attlee – the leader of Labour Party and the British premier who had signed the decision to grant Independence to India in 1947 – had come to India and stayed in Kolkata as Chakraborty’s guest.